KOCHI: ‘God’s Own Country’, Kerala has been attracting lakhs of tourists throughout the year from every part of the globe. With the number of tourist spots getting more famous, the hospitality industry too has developed. The number of hotels around the tourist spots has increased manifold and getting accommodation during peak season is a big challenge. Hotels around Fort Kochi are no exception to this. Every inch of land has been occupied by commercial establishments – hotels, shops, small eateries and guest houses. However, an average Indian cannot afford these hotels as most of them are highly expensive and cater to the needs of foreign tourists. Home stays, that have caught up very fast in the recent past, are also expensive and most sought after by those coming from outside Kerala. Keralites are left to scout for places to stay and for food. 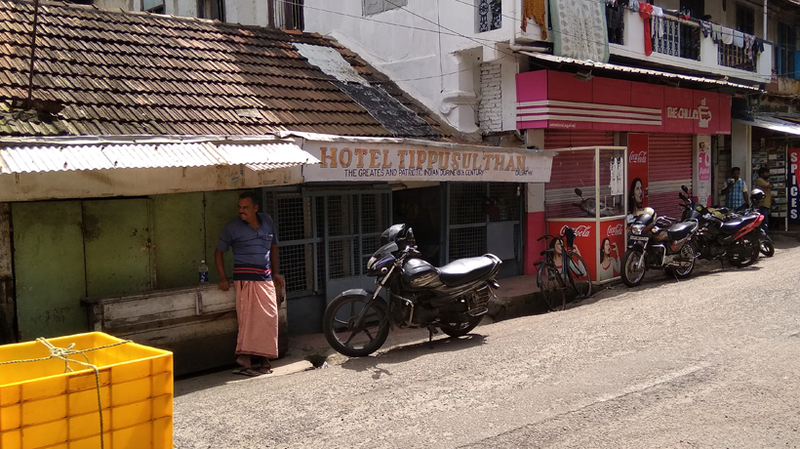 While some of them do good groundwork and go to the right place, many of them go till Mattancherry to relish good Muslim delicacies including briyani, fish, chicken and kababs. However, vegetarians are the unlucky lot as there are only a handful eateries that offer vegetarian food. A few Gujarati hotels, that were once popular for good vegetarian Gujarati thalis and chat items, catered to the needs of vegetarians. But with a large number of chat points mushrooming in the area, the hotels’ popularity faded over a period of time. A number of people from Uttar Pradesh and Bihar have set up chat counters in pushcarts where they sell chat items and sweets and other things. According to Ramesh Yadav, he and other sellers from North were happy in Kerala as they are free from harassment from police and goondas. “Most of us have decided to settle here only. It is very peaceful here unlike UP or Bihar, where police and goondas trouble us a lot everyday asking for money,” he said. A few metres away from the Fort is Hotel Tipu Sultan that caters to the needs of large number of people. “The hotel may look small from outside, but has many rooms to accommodate guests. The good is very good and homely,” says an auto rickshaw driver, who is a regular customer for lunch here.